Long ago I wrote explaining how Congress is taking the lead on Iran policy. Recently, major developments involving the United States, Iran and the entire Middle East have placed the powerful US legislative body before obligations in the face of arguably the world’s most dangerous regime. At a time when Iran’s foreign meddling and ballistic missile drive continues to raise eyebrows out of deep concern, important spotlight is being focused on a shadowy aspect of Tehran’s notorious schemes. Politico released what has been described as a bombshell, exposing how Iran literally demanded the Obama administration facilitate a major drug trafficking/money-laundering campaign across four continents. While senior Obama administration officials must be held accountable for their ties with the terrorist Lebanese Hezbollah, the main issue at hand is how to tackle the root: Iran. Congress has called on the Department of Justice to provide, no later than 5 pm on January 8th, 2018, all documents and communications in any way related to Obama officials literally bending backwards and allowing Hezbollah to flood US homeland with drugs. Lawmakers also have demanded a DOJ briefing on the subject no later than Jan. 12th, 2018. In response to a request filed by Representatives Jim Jordan and Ron De Santis, reports indicate US Attorney General Jeff Sessions has ordered a review into Project Cassandra, the decade-long Drug Enforcement Administration (DEA) initiative said to be hindered by the Obama administration. 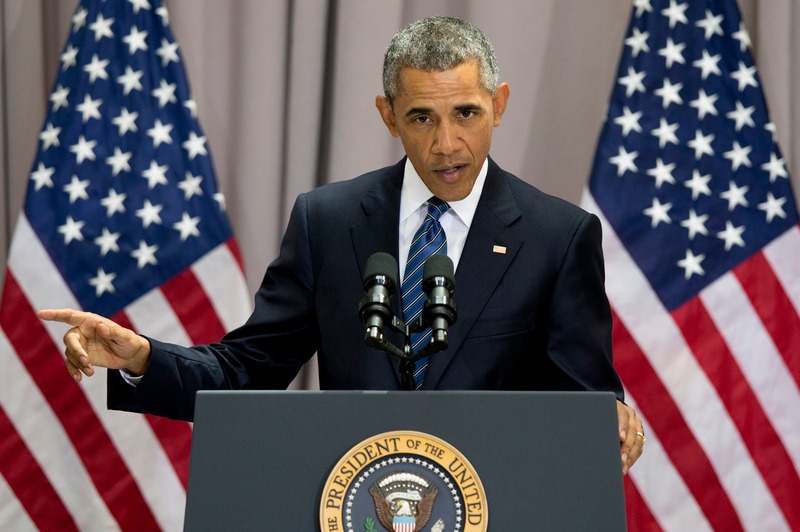 The highly controversial Iran nuclear deal came at an extraordinary cost. The Obama administration has long been criticized of going the limits to appease Iran, and this new controversy of killing an investigation into a drug ring that most likely provided an annual revenue of $1 billion to Hezbollah is morally wrong, to say the least. This die-hard terrorist group is known to be Iran’s offspring from the early 1980s and also involved in propping the brutal Bashar Assad regime in its relentless carnage against the Syrian people. And despite the fact that the 2003 war against Iraq was a strategic mistake by the Bush administration and playing into the hands of Iran, at that time Hezbollah provided training for Iraqi militias to attack and kill US and coalition forces stationed in the country. A disturbing reminder lies in the fact that back in May 2010, John Brennan, then Obama’s counterterror chief, argued that Hezbollah was evolving into a political party. This important figure in Obama’s team went on to become the CIA Director, conveniently during the negotiations over the Iran nuclear deal when Tehran sought a back door from Washington for Hezbollah’s obvious wrongdoings. According to Politico, Hugo Carvajal, known as an alleged drug kingpin in Venezuela, was arrested in Aruba in 2014. Venezuela is known to have close relations with Iran, and despite the massive potential of generating important knowledge regarding the cocaine trafficking network, extraditing Carvajal was, conveniently for the Obama administration, out of the question. “Within a few years, cocaine trafficking from Venezuela to the US soared from 50 tons a year to 250 tons, according to the United Nations Office on Drugs and Crime Statistics,” as reported by Newsweek. Mysteriously, the Netherlands reportedly intervened to have Carvajal returned to Venezuela. There is always room for arguments and speculation, yet one cannot deny the possibility that the Dutch Royal Shell Oil Company most likely sought to do Iran a favor in return for lucrative post-nuclear deal contracts. Hezbollah’s terrorism finance operations are known to thrive throughout Latin America despite the DEA long linking the militant group to local drug cartels in the region, according to former DEA operations chief Michael Braun who testified before US lawmakers in June 2016. Hezbollah moves “[multiple] tons of cocaine” from South America to Europe and developed “the most sophisticated money laundering scheme or schemes that we have ever witnessed,” Braun explained. Under pressure from Republican lawmakers, Obama’s State Department in 2013 issued a report claiming Iran was not supporting any active terrorist cells in the region and concluding Tehran did not enjoy vast influence in Latin America as critics claimed. Quite arguably another episode of Obama’s kowtowing before Iran. Hezbollah enjoys a “vast network” in Latin America, especially in Brazil, home to an estimated one million Shiite Muslims. Emanuele Ottolenghi, a senior fellow on Iran at the Foundation for Defense of Democracies, at the same hearing “cited a 2014 report by the Brazilian newspaper O Globo that outlined a connection between Hezbollah and the Primeiro Comando da Capital, a Sao Paulo-based prison gang, which is widely regarded to be among the country’s biggest exporters of cocaine,” according to The Washington Times. While falling on deaf ears with the Obama administration, Ottolenghi’s advice for Congress and the administration to “aggressively focus” on Hezbollah’s presence in Latin America is a definite necessity for the Trump White House. Going even further back to November 2012, a congressional report focused on border security highlighted how Latin America had “become a money laundering and major fundraising center” for Hezbollah, according to the Miami Herald. Three men, suspected to have ties to none other than Hezbollah, were arrested on charges of laundering cocaine money a Colombian cartel. The trio were able to illegally move $500,000 into Miami banks through a series of sophisticated financial transactions extending from Australia to Europe, the report adds citing US authorities. The fact that the Trump administration has adopted a far contrast policy in comparison to his predecessor is beyond question. This practice has extended to America’s stance on North Korea, a staunch ally of Iran and known to have cooperated with Tehran’s nuclear and ballistic missile drives. In response to Pyongyang’s defiance and continued ballistic missile tests, the UN Security Council on Friday adopted tough new sanctions slashing up to 90 percent of the rogue regime’s petrol imports. To the surprise of many, and certainly senior Iranian regime officials who most definitely followed the UNSC session up close, Russia and China both voted in favor of the measure. This adds to North Korea’s already escalating woes, alongside other restrictions imposed by the US, UN and the European Union. Also needed now are meaningful measures targeting the root of this entire crisis, being Iran. This regime benefits from Hezbollah’s belligerence, and this terrorist entity is dependent on Tehran’s logistical and financial support. Therefore, the US Congress taking the lead in imposing severe sanctions against Iran’s main source of revenue, being its oil exports, and effectively restricting its access to the international banking system are necessary measures for starters. Crippling sanctions targeting Iran’s ruling regime and its Revolutionary Guards have the potential of fueling major social unrest. This Tehran cannot tolerate and will definitely succumb to the international community’s demands of significantly curbing its slate of bellicosities. On the doorstep of US President Donald Trump’s first National Security Strategy speech, the administration launched an unprecedented campaign of pinpointing the crosshairs on the epicenter of all extremism causing havoc across the Middle East: Iran. This comes following a Wall Street Journal article explaining how in the post-ISIS world Washington will begin pinpointing its focus and resources on the larger and more dangerous threat posed by Tehran. The Trump administration has made it clear that a wide array of destructive policies adopted by Tehran have become unacceptable, a clear indication of the end of Iran’s years of windblown successes, thanks mainly to eight years of the Obama’s unbridled appeasement policy and strategic mistakes of previous administrations. Described as a “first” by Reuters, last Thursday US Ambassador to the United Nations Nikki Haley displayed a detailed exhibition of Iranian equipment used to arm Yemen’s Houthi militias – long known to be backed by Iran – and thus, to destabilize the region, especially its archrival, Saudi Arabia. Iran can also be described as the facilitator, and maybe even the godfather, of a slate of malign practices rendering suffering across the Arabian Peninsula, leading to the Levant and eastward to Central Asia. “It’s hard to find a terrorist group in the Middle East that does not have Iran’s fingerprints all over it,” Haley continued, adding how this regime is “fanning the flames” of conflict. It is worth reminding that for decades the US State Department has considered Iran the world’s leading state sponsor of terrorism. We may actually be on the verge of meaningful and long overdue measures against Tehran on this very important and vital subject. US policy shifting also faces major decisions regarding the path forward in Iraq, as the three year war against ISIS group begins to wind down and Washington seeks to roll back Tehran’s influence over Baghdad. Disputes between the central government and the Kurdish region, parallel to the May general elections in which Prime Minister Haider al-Abadi seeks reelection, are important subjects for all parties involved. “Iran simply does not respect the sovereignty of its neighbors,” said Douglas Silliman, the US Ambassador to Iraq, while voicing how Washington is encouraged over recent efforts made by Baghdad to establish stronger ties with Riyadh and Amman. This adds to Tehran’s troubles in Mesopotamia, as there are signs of growing rifts among its allies in Iraq’s Shiite majority. A stereotype mentality would suggest Iran is seeking the return of Nouri al-Maliki, a former prime minister considered by many as extremely loyal to Tehran. Maliki, however, would need the unified support of Iraq’s Shiite community. Troubling Iran’s intentions is how various influential figures, such as Muqtada Sadr, have established close ties with Riyadh or signaled their own objectives. Hadi al-Amiri, commander of Iraq’s largest Shiite paramilitary group, the so-called Badr Organization, called on his fighters on Thursday to begin taking orders from the national military and end their ties with the group’s political wing. This move, parallel to unconfirmed reports of orders for the group’s fighters to withdraw from cities they currently control, paves the path for Amiri to take part in the upcoming May 12th parliamentary elections. Back in July, Ammar al-Hakim, a politician known for his links to Iran, withdrew from the Tehran-backed Islamic Supreme Council of Iraq to launch a new party, the National Wisdom Movement. Al-Hakim has claimed to seek Sunni support for his new initiative. July was the same month of Sadr’s Saudi and UAE visit, and he also raised eyebrows by calling for the controversial Popular Mobilization Forces to dismantle and integrate into the country’s armed forces. Reports also indicate that Sadr intends to establish a political alliance with Abadi, the al-Wataniya slate of Iraqi Vice President Ayad Allawi and the Civil Democratic Alliance before May’s elections. Raising concerns for Iran is the fact that all these parties have called for political reforms in Iraq. With the US military effort against ISIS decreasing in necessity, the Trump administration is also weighing the future of its Syria campaign, with Iran on their mind. Having recently announced the presence of more than 2,000 American forces stationed currently in Syria, the new goal for these units is a highly debated subject. As we remember the drastic experience of Obama’s premature pull-out of Iraq and the resulting consequences that paved the path for the rise of ISIS, US Defense Secretary James Mattis has indicated American troops have no intention of leaving the Levant in the foreseeable future. It is vital to ensure ISIS is prevented the ability to morph into a dangerous new entity with the potential of raising new threats in this already hostile region. Furthermore, rest assured Washington is taking into considerable consideration the presence of Iranian proxies across the Levant, and how the stationing of US troops on the ground acts as a major deterrence element against Tehran’s treacherous initiatives. Advocates of engagement vis-à-vis Iran are accusing the Trump administration of trailing the path of launching a war with Iran. Their intentions are far from preventing the US from entering a new war, but to protect Tehran from any strong measures, including international sanctions that target the regime and actually benefit the people by weakening the ruling system. 1. A completely unified Iranian regime with former Iranian president Mahmoud Ahmadinejad acting as the puppet of Supreme Leader Ali Khamenei. 2. Billions in revenue rendered by skyrocketing oil prices soaring up to nearly $140 a barrel in June 2008. This is not the case today, as Iranian politics is a scene of unprecedented internal quarrels described locally as “dogfights,” and the lowered price of oil and increasing sanctions leveled against Tehran are disrupting the regime’s efforts, seeking to maximize its regional bellicosity. Iran’s relations with al-Qaeda is under the spotlight following the CIA’s release of nearly half a million documents obtained during a 2011 raid that killed the extremist group’s leader Osama Bin Laden. How Iran at least facilitated the efforts leading to the 9/11 attacks has been discussed extensively. For decades US authorities have argued Iran-al-Qaeda ties date back to 1991, referred to in a 19-page report amongst the trove. “Anyone who wants to strike America, Iran is ready to support him and help him with their frank and clear rhetoric,” the report reads. The US government’s 9/11 Commission explained how Iranian officials met with al-Qaeda leaders in Sudan as early as 1991 or 1992. This led to the Lebanese Hezbollah, an offspring of Iran’s Revolutionary Guards (IRGC) to begin training al-Qaeda militants in Lebanon, the commission said. IRGC training camps inside Iran have also been exposed by the Iranian opposition National Council of Resistance of Iran (NCRI). Al-Qaeda further enjoyed the backing of Iran and Hezbollah in the 1998 truck bombings targeting US Embassies in Kenya and Tanzania that left 224 people killed, including 12 Americans, US prosecutors said in their indictment of Bin Laden. 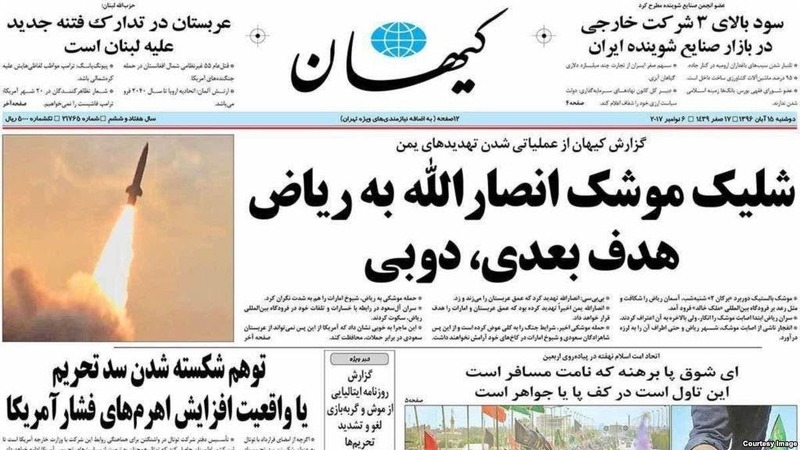 This proves Iran recognizes no religious borders in allying with al-Qaeda. To reach its objective Tehran is bounded by no principles and will resort to any measures necessary, a viewpoint very rarely discussed. Important for Tehran regime is to utilize all means to safeguard its rule by extending influence and reach across the Middle East. This includes wreaking havoc for the region’s nations and targeting all assets of the “Great Satan,” as the Iranian regime describes the United States. When needed Iran provided al-Qaeda their necessities. When interests alter, however, Tehran easily changes course. The 19-page report mentioned above describes how Iranians later placed al-Qaeda members under house arrest following the Sept. 11 attacks. Tehran understood the importance of al-Qaeda for Washington after its victory in Iraq, and began planning long term. “They decided to keep our brothers as a card,” the report said. In 2015 Iran made this true, reportedly exchanging a number of al-Qaeda leaders for a diplomat held in Yemen by the terror group’s local branch. “In my experience, the Iranian regime is the best example…of pragmatism in politics,” according to an al-Qaeda official quoted in the 19-page report. While Iran and al-Qaeda shared a common enemy in the U.S., the relationship also had its sour days. Iranian Supreme Leader Ali Khamenei reportedly received a letter from al-Qaeda operatives – said to be Bin Laden’s daughter – demanding Tehran release detained operatives’ family members. In 2003, Tehran reportedly weighed a possible deal with Washington, offering to exchange a number of al-Qaeda numbers for members of the People’s Mojahedin Organization of Iran (PMOI/MEK) then stationed in Iraq. Nothing materialized, however. Al-Qaeda’s apparent siding with Iran may seem surprising, considering the ostensible enmity extremists like those of ISIS have for Shiites, and vice versa. “The relationship between al-Qaeda and Iran demonstrated that the Sunni-Shiite divisions did not necessarily pose an insurmountable barrier to cooperation in terrorist operations,” the 9/11 Commission reported. Prior to 9/11, Iranian intelligence facilitated border passage to al-Qaeda militants without stamping passports or with previously provided visas by its consulate in Karachi, Pakistan, according to the 19-page report. This mirrors US intelligence, showing how eight of 9/11’s hijackers passed through Iran before arriving into the mainland United States. One can now doubt claims of Hezbollah or Iran not being aware of the 9/11 planning. Experts have also noted how Iran leads a campaign, if you will, seeking short and long term interests. All the while, Iran’s proxy groups have staged horrific massacres against Sunni communities across Iraq and Syria. 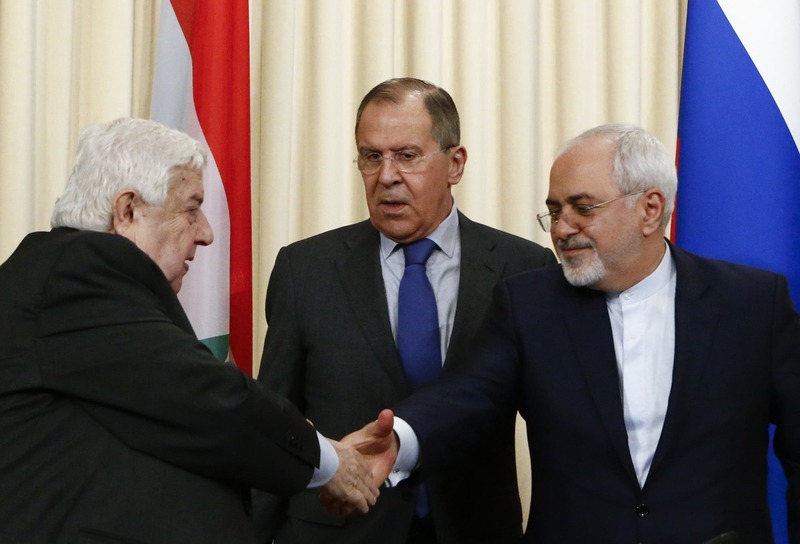 Furthermore, in the past several years the Iran-backed Assad regime has suspiciously retreated from various positions, only to see ISIS gain ground, while mutually attacking the grassroot Syrian opposition. Numerous intelligence reports indicate how Tehran provided long-term shelter to Abu Musab al-Zarqawi, founder of al-Qaeda in Iraq. The IRGC protected and groomed Zarqawi, whose group become the predecessor to ISIS, the reports add. The IRGC also facilitated resources allowing al-Qaeda in Iraq to rebuild infrastructure to launch its blitzkrieg offensive from Syria, taking over large swathes Iraq. U.S. intelligence has well documented Tehran’s ties with al-Zarqawi, strongly doubting the narrative provided by the Obama administration following ISIS’s rampaging of numerous Iraqi cities. With Bin Laden killed in 2011, why did the Obama administration keep a lid on this valuable source of vital intelligence? The Obama administration released selected sets of Bin Laden files, in an attempt to emphasize a fierce rivalry between Iran and the extremist group. We now understand the Obama administration had complete knowledge of Tehran’s lethal cooperation with al-Qaeda. The timing of Obama obtaining such vital intelligence about Tehran’s relations with al-Qaeda suspiciously overlaps Iran’s extensive meddling in the region, especially the lethal crackdown of its opposition in Iraq. Iran has gone the limits in attempting to annihilate its opposition. As WikiLeaks revelations shed light on Iran’s conspiracies against the PMOI/MEK, rest assured the future has more such exposures. Iran will deny any relations with al-Qaeda. Interesting is how Iran initially denied any role in Syria and Iraq. The status quo proves Iran’s lethal footprint in literally opening the gates of hell upon these two nations. The Obama years are over. Al-Qaeda and ISIS have lost their organizational structure, after Iran took complete advantage of them. Iran and the IRGC, however, continue causing mayhem. The CIA release follows US President Donald Trump’s landmark decision to decertify the flawed Iran nuclear deal. The Trump administration has also ended decades of rapprochement, highlighted in the IRGC blacklisting. This very necessary measure needs full-throttle implementation without any loopholes. Despite their differences, the European Union and United States should join force in the long overdue effort to end Iran’s foot-print in Syria and Iraq. As the North Korea nuclear standoff and the future of Iran’s nuclear deal has absorbed an all-too enormous amount of international attention, a more important prism on Iran’s regional hostility must not go neglected. During the United Nations General Assembly the controversial nuclear pact, formally known as the Joint Comprehensive Plan of Action (JCPOA), took center stage once again. All the while Tehran has throughout the years overtly and covertly pursued a massive campaign hinging on meddling and extending its lethal ideology of Islamic fundamentalism across the Middle East. The rendered atrocities can be witnessed across the region, especially in Syria, Iraq, Yemen and Lebanon. This threatens the very fabric of the Middle East populace and bears the potential of plunging this flashpoint region into an abyss of proxy wars resulting in nothing but infernos of carnage. As the Obama administration sought to sell the JCPOA to the American people, US allies and the international community, they claimed a different Iran would emerge as a responsible member of the global neighborhood and the Middle East would be the first region to enjoy the boasted outcome. Some even claimed Iran would become this region’s Japan. 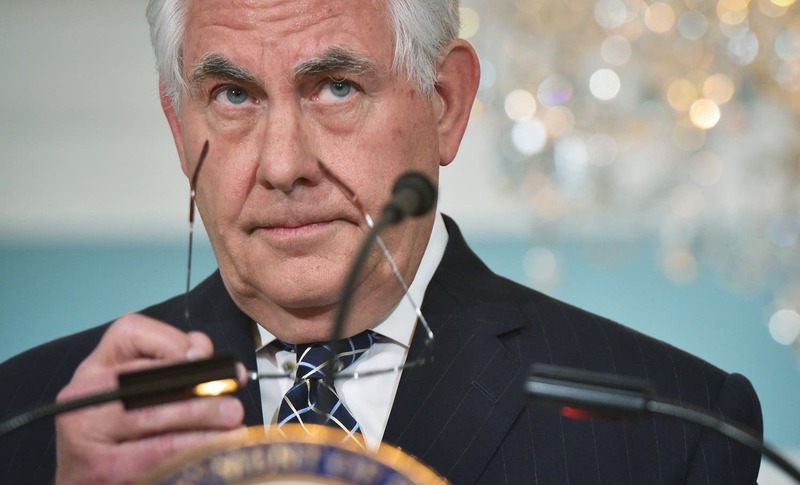 “Regrettably, since the agreement was confirmed, we have seen anything but a more peaceful, stable region,” US Secretary of State Rex Tillerson said on the sidelines of his UNGA meetings. While Iran has enjoyed a rift between Europe and the US, Berlin made remarks sinking deep into the minds of those sitting on the throne in Tehran. “The Americans are right: Iran is still not playing a constructive role in the Middle East, be it in Yemen or Lebanon,” said German Foreign Minister Sigmar Gabriel in a statement. The Green Continent has also welcomed the idea of cooperating with Washington with the aim of containing Iran’s Middle East thirst, especially considering growing concerns over Iran’s dangerous role in Damascus, Baghdad, Sanaa and Beirut. This train of thought also bears backing amongst Middle East states. “Two years have passed since Iran’s nuclear agreement with no sign of change in its hostile behavior; it continues to develop its nuclear program and violates the letter and spirit of that agreement,” UAE Foreign Minister Sheikh Abdullah bin Zayed al Nahayan said during his UN General Assembly speech. Despite being a very poor country, the geostrategic importance of Yemen is undeniable. This is the very reason why al-Qaeda sought to establish a major foothold in Saudi Arabia’s back yard and now Iran vehemently continues its support of the Houthis in destabilizing this country and the vital international waters adjacent to its shores. Tehran is continuing its efforts of smuggling illicit weapons and technology to prolong the Houthis’ campaign, according to Vice Admiral Kevin M. Donegan, the top US Navy commander in the Middle East. These measures stoke civil strife in Yemen and enable the Houthis to launch more precise and longer ranged missiles into its northern neighbor. The Houthis are also receiving an “increasingly potent arsenal of anti-ship and ballistic missiles, deadly sea mines and even explosive boats that have attacked allied ships in the Red Sea or Saudi territory across Yemen’s northern border,” reported The New York Times citing Donegan’s remarks. While there has been significant success in the initiative against Iran’s meddling in Yemen, the continuing crisis resembles the lethal potential of Tehran’s influence across the Middle East and its current focus on strategic junctures, such as this country’s influence over imperative shipping lines. 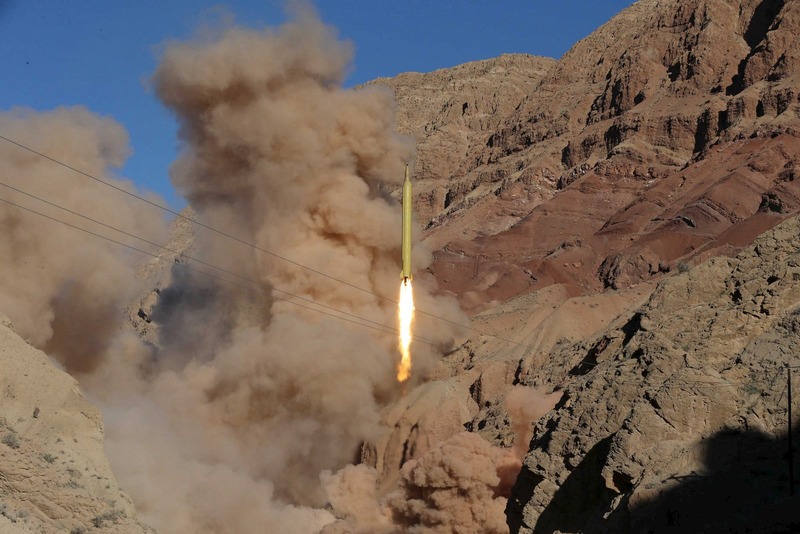 Further grounds of Iran not changing habits following the JCPOA signing are found in its violation of a related accord, the UN Security Council Resolution 2231, by continuing to test launch a range of ballistic missiles. As recently as Friday Iran unveiled a new ballistic missile as Rouhani increased his rhetoric against Washington through repeating the claim of this regime only seeking its defensive interests. In an even more provocative measure, the medium-range Khorramshahr missile was successfully test launched on Saturday. As claimed by the semiofficial Tasnim news agency, this new weapon has a range of 2,000 kilometers (nearly 1,250 miles) and enjoys the capability of carrying multiple warheads. This raised strong responses across the board, including US President Donald Trump questioning the JCPOA altogether and accusing Tehran of colluding with Pyongyang. In line with such concerns, Francealso called on the UN Secretary-General Antonio Guterres to deliver a full report on the recent missile test. Rouhani’s emphasis on seeking to boost Iran’s ballistic missile capability is a completely calculated move. All the while it needs understanding that such rhetoric from senior Iranian officials are aimed at maintaining a straight face back home, and not appearing to give in to pressures raised by the international community. The IRGC is the godfather of Iran’s nuclear and ballistic missile drive, in charge of quelling all forms of domestic dissent, and exporting the regime’s so-called “Islamic Revolution” abroad. For this very purpose, Iran has for decades fostered the rise of proxy offspring armies including the likes of the Lebanese Hezbollah. Obama’s JCPOA and windfall of billions also provided Iran the opportunity to continue fueling terrorist groups across the region and even marshalling foot-soldiers from as far as Afghanistan and Pakistan to Syria to help maintain Syrian dictator Bashar Assad remain on his throne. As a train of thought has remained intact from Obama’s flawed policies, there are voices who have gone as far as describing Iran being a “major diplomatic, military, and economic player throughout the Middle East and even into Central and Southwest Asia.” Unfortunately, this plays into Tehran’s hands and upgrades the dogma practiced vis-à-vis Tehran for the past four decades, rendering nothing but escalating death and destruction. If Iran enjoys “considerable influence” in countries across the region it is not due to its righteous cause. Tehran, in fact, owes a great deal of gratitude to West for its tireless policy of rapprochement. 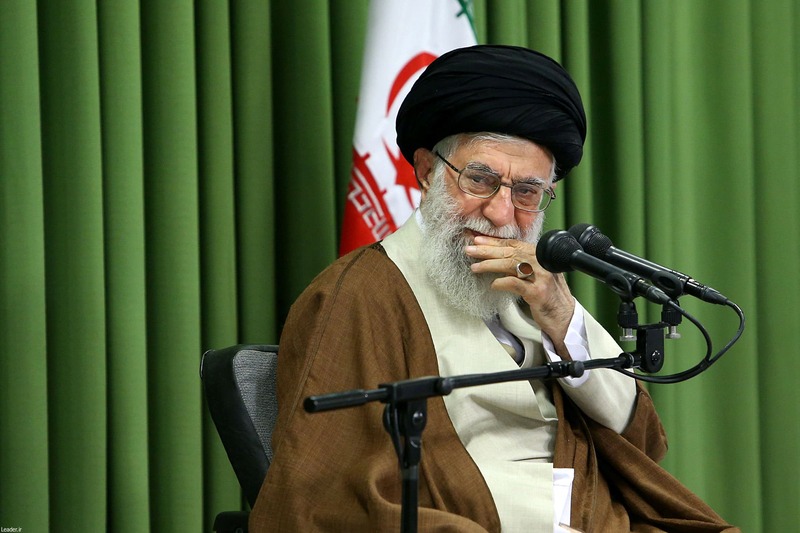 Iran must be isolated, and this is not tantamount to a call for a new Middle East war. Imagining this regime can be a party to be constructively reckoned with is in fact naïve. It has become crystal clear that the JCPOA has not lived up to its promises. The Middle East has evolved into a mess due to Iran’s meddling, leading to Europe leaning toward US’ position of pressuring Tehran to bring an end to its regional carnage. For far too long Iran has taken advantage of its nuclear program and ambitions to advance its Middle East influence. This must come to an end, parallel to increasing international pressures on its nuclear/ballistic missile drive, support for terrorism and human rights violations at home. For nearly four decades Tehran has utilized the engagement approach by the West based on the mistaken perspective on playing “nice” with Iran to encourage change. This has resulted in a Middle East engulfed in war, death and destruction, cloaked by the international brouhaha Iran has launched through its nuclear program. All of the Iranian regime’s animosities deserve due attention in parallel fashion. Its regional meddling and support for terrorism should be top priority. 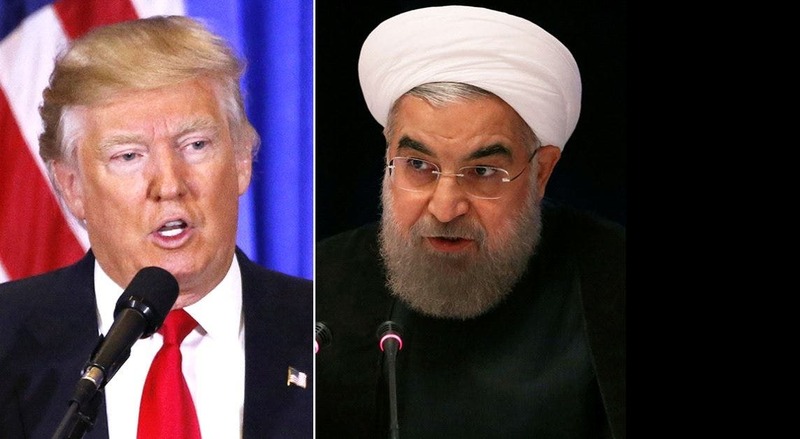 One such solution was recently provided by Walid Phares, former Trump foreign policy advisor, for Washington to use the Arab coalition and Iranian opposition as means against Tehran.